ORDER THE BREVILLE JUICE FOUNTAIN COLD WITH FAST FREE SHIPPING HERE! I am consistently receiving compliments on how clean my skin appears in my YouTube videos. I always appreciate that. There’s no secret here. I consume a great deal of green leaf veggies, fresh herbs and low sugar fruits that contain vitamins that aid in clean and healthy skin. I have showcased my Breville products often in my YouTube video presentations. Their Boss blender, the Breville Tea Maker and Smart Grinder Pro are products I have either reviewed or use every single day for personal use. When Breville reached out to me to do a review on their Juice Fountain Cold I was really excited! 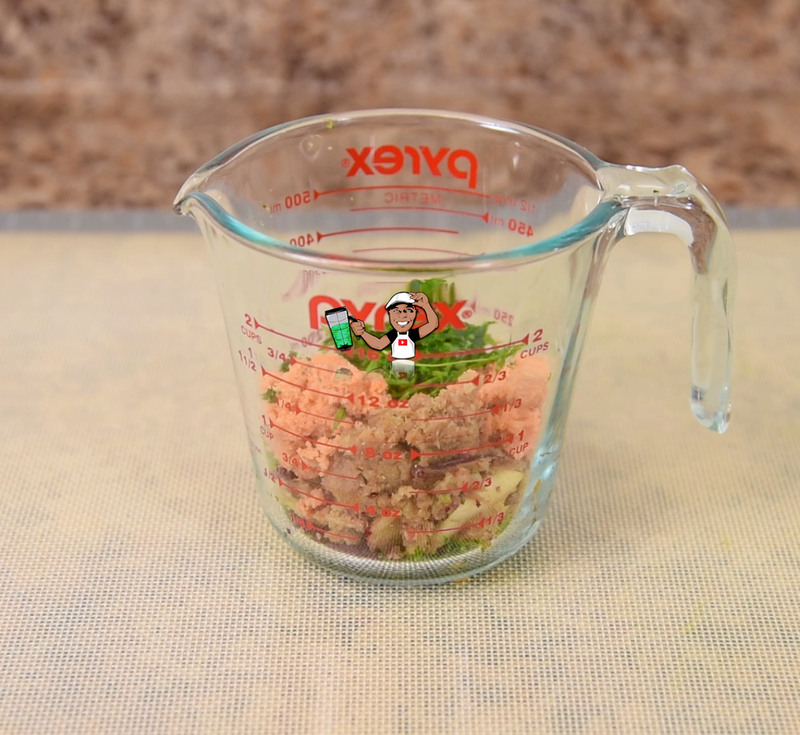 In my blending videos I have attempted to make “juice”, but it requires blending first, then straining, and often I am adding liquids to achieve a juice-like texture. But in this fashion you’re really not getting a true juice. If you’re really into juicing, then you may already know that Breville is the product that other companies compare themselves to. The Juice Fountain Cold uses Breville’s Cold Spin Technology. It’s been shown to transfer less than 1.8 degrees Fahrenheit while extracting juice. This makes it possible to avoid damaging valuable nutrients during processing, which is common with most other juicers. Right out of the box, the Juice Fountain Cold comes with everything you need to get juicing, and it comes with a 1 year warranty. While I felt the warranty to be a bit short for such a well-built product, in my experience Breville has excellent customer service and has even taken care of me outside of the warranty. 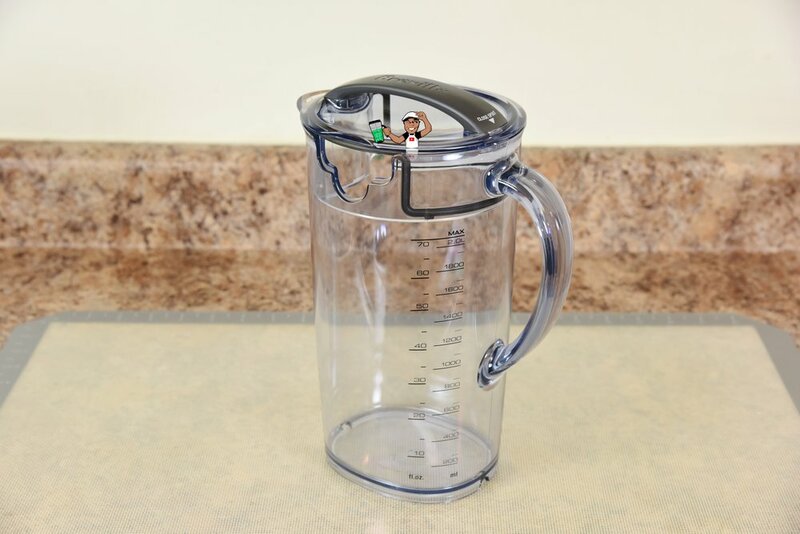 It comes with a 2 liter or 70oz juice jug that has a sealing lid with a built-in froth separator, which is a much needed feature since centrifugal juicers tend to produce quite a bit of foam. While some parts of the Breville Juice Fountain Cold are dishwasher safe on the top rack, I only recommend hand washing for best results. Along with the froth separator, the sealing lid has an Open & Close spout. In the closed position juice can be stored in the refrigerator for up to 3 days. I do recommend however to drink your juice as soon as possible to avoid nutrient loss. The Juice Fountain Cold is a centrifugal juicer. 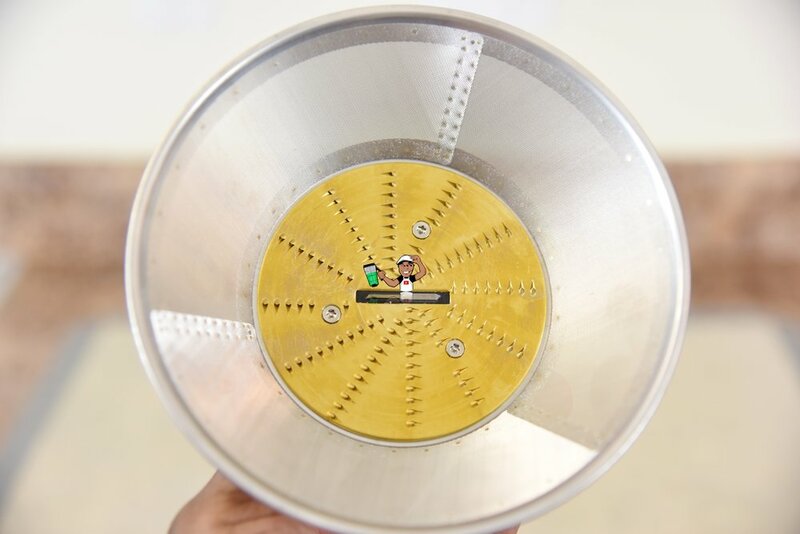 it uses a stainless steel filter basket with stainless steel cutters to break down ingredients and extract the juice. This has been the most common design of traditional juicers. More upscale slow juicing machines use a turning screw to crush ingredients to extract the juice, which yields a higher amount of juice and better quality. The overall design of Juice Fountain Cold is beautiful and well built. Shown is the top and bottom of the motor base. I have always enjoyed Breville’s trademark Assist Plug. Placing your finger into the hole allows you to safely pull the plug from the outlet. I also love Breville’s heavy duty power cords. They are generally used in high performance products and can withstand the wear and tear of a real world kitchen. Something to be aware of. Breville’s owner’s manual states that the Juice Fountain Cold has built-in cord storage. It does not. The filter bowl has a spout that passes the juice into the included 70oz juice jug. It also comes with an adapter that fits over the spout to position it for using standard beverage tumblers. 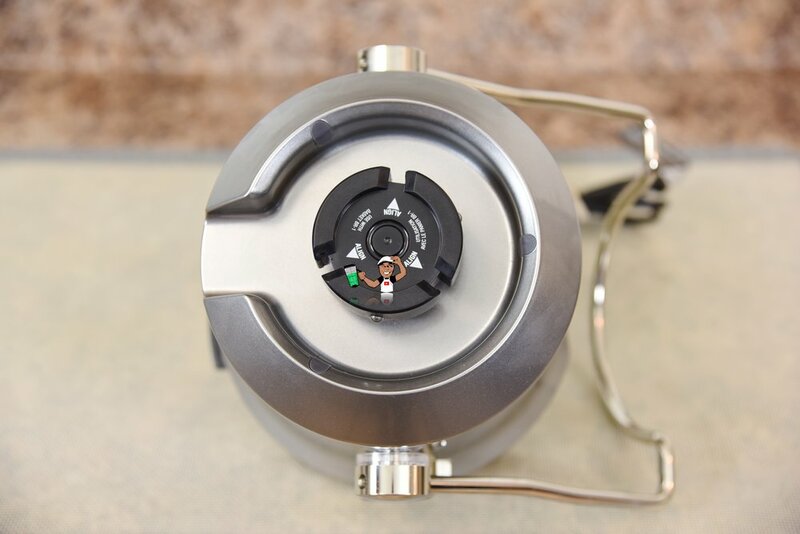 The Juice Fountain Cold uses a simple selector switch on the front. Low, High and Off. It’s important to use the correct speed based on the ingredients being juiced in order to get maximum juice extraction. If you’re ever unsure, use the included owner’s manual which lists which fruits/veggies that require certain speeds. To get started juicing I used an array of raw fruits/veggies including root vegetables such as beets and carrots. Fruits such as Apples and Pineapple. For greens I decided to try kale and wheatgrass. See the beautiful colored nutrient-rich juices above that resulted from using the Juice Fountain Cold. Starting with the kale and wheatgrass, I immediately noticed the little amount of juice yield. 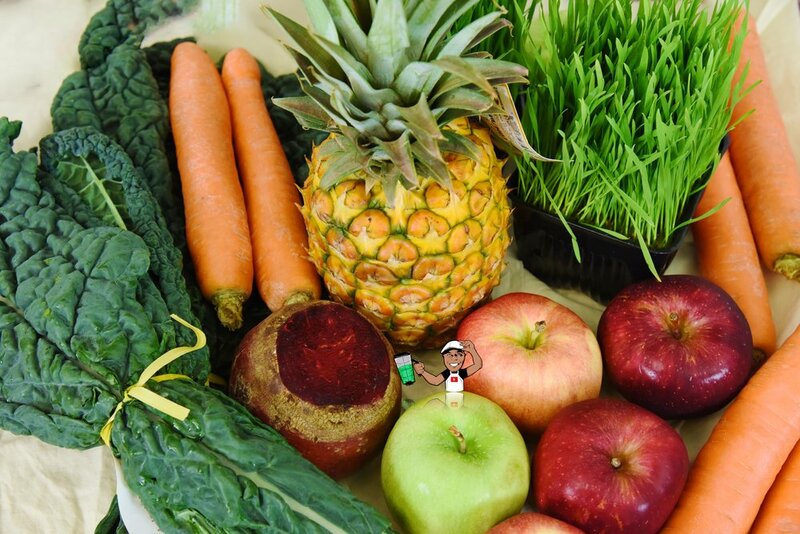 While these superfoods contain water naturally, they do not produce a great deal of juice. The juice is also bitter so it’s best to consume in small quantities followed by citrus wedge to clear the pallet. If a higher green juice yield is absolutely necessary then I recommend checking out Breville’s The Big Squeeze. Its a slow compression juicer that uses a large turn screw (rather than a filter basket with cutting blades) that crushes ingredients which forces a higher and richer juice yield. Next, I juiced Carrots. Perhaps the most popular root vegetable juiced daily by most. 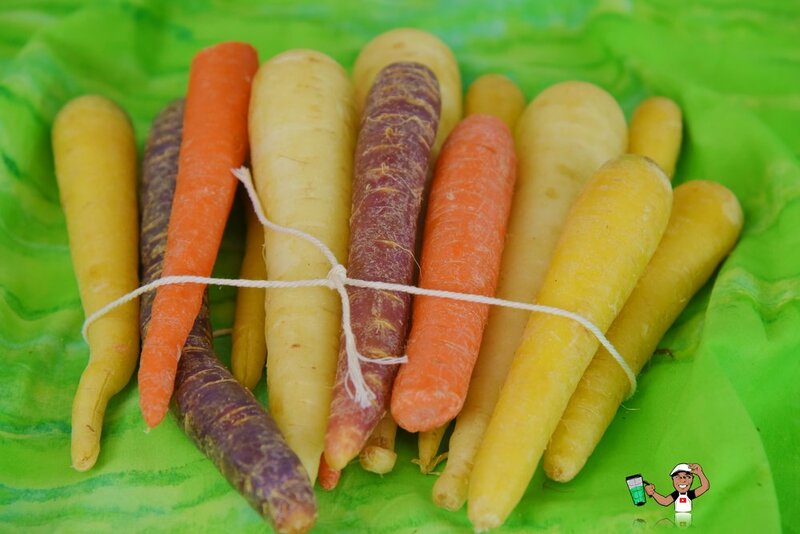 Carrots contain a great deal of water naturally, so producing a high juice yield was not a problem. In fact, it was super quick to produce a cup of juice with just a few carrots of medium size. Carrot juice is naturally sweet and delicious and contain healthy nutrients. Natural and unfiltered Apple Juice can be purchased at many local grocery stores, but I always wondered how healthy it was since Apples tend to oxidize quickly, and the store bought Apple juice has been sitting perhaps for weeks before someone buys it. Juicing Apples in the Juice Fountain Cold was super quick as Apples produce a great deal of juice with just a few Apples. I really like how the Juice Fountain Cold’s shoot is large enough to push whole apples through it. It’s important to always push the ingredients down slowly to extract the maximum amount of juice. Next, I juiced Beets. I absolutely love beets. They are so misunderstood based on how they look. Not only are beets naturally sweet, they yield a high degree of juice and they are extremely affordable for juicing daily. Beets are also one of the most nutrient packed root veggies. Lastly I juiced a whole Pineapple. It’s by far my most enjoyed fruit and Pineapples yield a great deal of juice. The pineapple core tends to get tossed into the wastebasket, but when juicing it produces a high yield of juice as well. While I expected the Juice Fountain Cold to bog down when juicing the pineapple core, the motor never slowed down. So here is our masterpiece array of fresh beautiful juices. From left to right is the Apple Juice, Beet Juice, Pineapple Juice, Carrot Juice, and our green Kale & Wheatgrass juice shots upfront. People are afraid of consuming our earth grown foods because they don’t taste like french fries. I get it! But if you want to prolong your health and maintain clean skin, this is the way to a great start. Since I couldn’t drink all these juices at once, I poured the carrot, beet and apple juice together in the Juice Jug. You may store it up to 48 hours in the refrigerator, however for the highest degree of nutrients it’s best to consume fresh juice as soon as possible. Oh, and don’t be afraid to mix juices. The taste is simply amazing! As with most juicers, the cleanup looks pretty scary as there is quite a bit of pulp scattered beneath the filter bowl and the filter basket. Shocking enough that it only took a quick rinse with hot water or a quick dunk in soapy water. 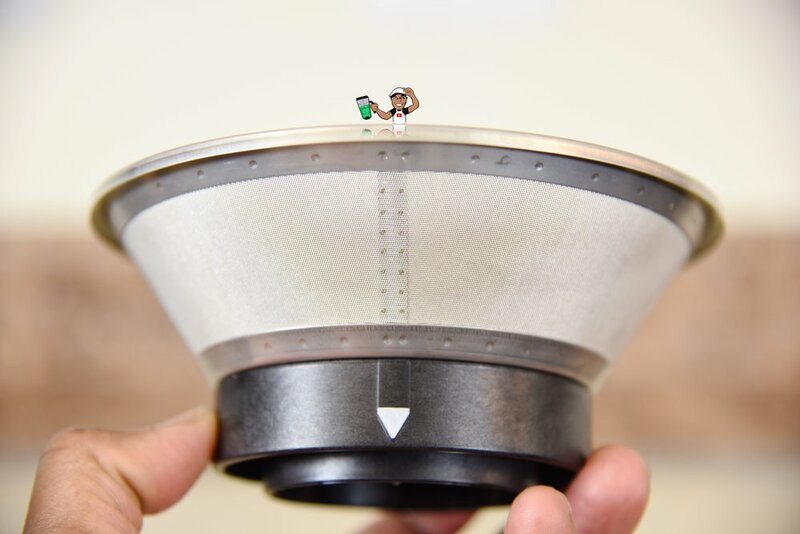 Breville includes a scrubber brush for use with the filter basket to remove pulp bits in the micronized filter screen. A squeeze of lemon juice is recommend to remove stubborn pulp stuck in the filter screen. SHOULD YOU THROW AWAY YOUR LEFTOVER PULP? Each time you make juice there will be pulp (fiber) left over no matter what type of fruit or vegetable you juice. Some may view the pulp as leftover scraps to throw away but there are plenty of uses for it. Your garden compost, baking recipes, smoothies and making delicious blended soups. It’s super easy to make a quick blended soup. If you have the Breville Boss blender or a Vitamix you can make an amazing hot soup for your guests and they won’t know it was created using the pulp from your juicer. I poured a veggie broth into the Vitamix, dropped in the pulp, then added sun-dried tomatoes, parsnips for creaminess and some spices. Blended until smooth and hot. Since the soup was blended until smooth I garnished the soup with fresh chopped red bell pepper and cucumbers for crunch and texture. So what are my thoughts on the Breville Juice Fountain Cold? Well, just like every Breville product it’s beautiful, well built, with upscale materials. I was also impressed at how easy it was to assemble and clean. Certain green leaf veggies do not yield a great deal of juice, especially in a centrifugal juicer like this one. If your main purpose is to juice leafy veggies or Wheatgrass then you may want to check out Breville’s Big Squeeze for $399 with a 10 year warranty. 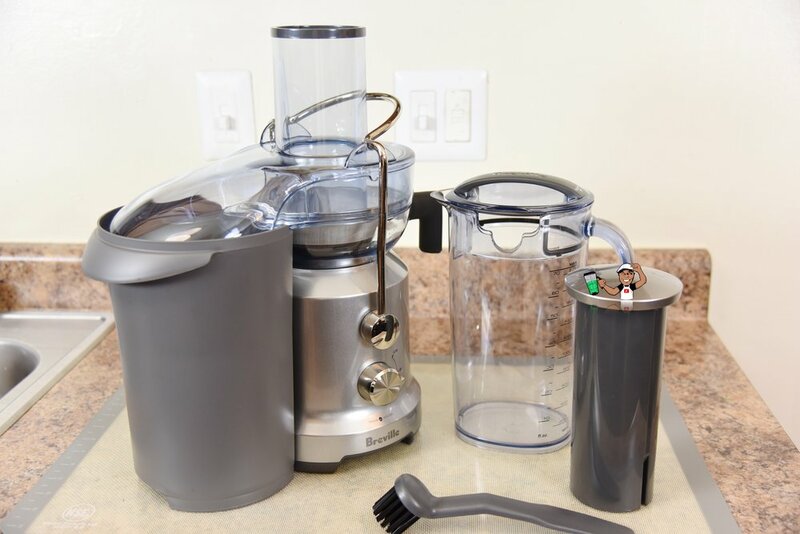 It’s a slow compression juicer that uses a turn screw that crushes ingredients for maximum juice extraction. The lack of a built-in cord wrap. While not necessarily a dealbreaker, Breville needs to update their owner’s manual which states it does have one. The noise factor. Well it’s as loud as most other centrifugal juicers. If quiet is an absolute must then that’s another reason to consider Breville’s Big Squeeze slow compression juicer. For the rest of us, at $179.95, the Breville Juice Fountain Cold is an overall well-rounded affordable machine that a first time user can have up and running within minutes of opening the box. CHECK OUT THE YOUTUBE VIDEO PRESENTATION OF THE BREVILLE JUICE FOUNTAIN COLD HERE!